Depending on the company and market requirements, individual or all decision areas of importance to the company and must be dealt with systematically. A company has developed a solution to a new field of application. Before this market is actively addressed the question of market positioning of the company in its new competitive environment has to be answered. The project aims to clarify how the company is supposed to act the new market in the demand side as well as how to differentiate from its competitors. The starting point for the project is to analyze the demand and needs of existing competitors. This information is used to derive the relevant positioning dimensions for creating a positioning of the company and of an action plan and timetable for implementation. The company has been successful for more than two hundred years, engaged in international trade. The heel is stable, it earns good profits, but sales potential is largely realized in its traditional markets. Objective of the project is to develop a strategy for continued growth and a secure future for the company in the market. The starting point of the project is the analysis of the relevant markets. Here, in particular the expected development of these markets as well as the identification of growth chances in the future are of interest. Among others, the method of scenario planning is used to identify possible futures that are not yet seen as likely at the moment. The result is a road map for the development of the company, which shows the successful path to entry into the identified markets. The company has been successful for more than fifty years in a defined segment of the capital goods market operates. The market development, in particular increasing competition, makes a realignment of corporate activities necessary. Objective of the project is to systematically develop the strategy and the marketing of the company and to develop a self-concept as a basis for future work. The starting point of the project is to analyze the markets, especially the market potential and market volumes, buyers (customers and non-customers), competitors and the company. Based on this information, the redefinition of the business and corporate audiences occurs. Based on this strategic market positioning (distinguishing features for competition as well as the desired image in the target groups) are defined. The next steps are the derivation of marketing measures to implement the strategic decisions as well as a schedule. The results will be fixed in the strategy and marketing concept for the company and presented. A manufacturer of capital goods so far only has a website. In management, a discussion about the possibilities of systematic use of the Internet for marketing of its products has come up. The aim of the project is to develop a self-contained Internet strategy that is integrated into the overall strategy and marketing of the company. 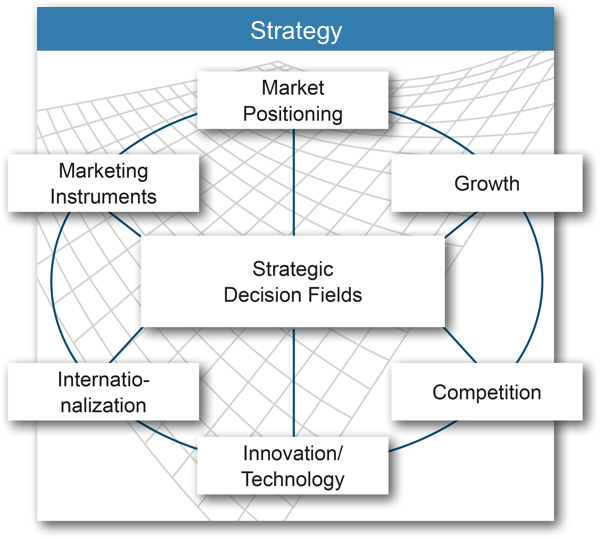 As a basis for the Internet strategy, the overall corporate strategy is used. These include the target groups, customers and competitors structure of the client. Based on this, alternavites of Internet marketing are developed and evaluated. Starting with an updated homepage, information placement in relevant Internet environments, the use of e-mail newsletters and the creation of a special interest portal on the Internet are seen as options. After presentation to the client together with him options are discussed and decided upon. A company offering customized solutions in the capital goods segment, sees growth opportunities in internationalization. The aim of the project is to find a reasonable and feasible way for the internationalization of the company and to define the entry to selected countries in the rest of Europe. The basis for the internationalization strategy is the analysis of existing market conditions and resources as well as the potential of the company. These form the basis for a proposal of an internationalization path that offers a balance between internationalization and meaningful organic growth. To enter the market in the European countries, the alternative approaches in the context of market analysis are reviewed and developed country-specific. These will be integrated depending on the tasks and requirements in the marketing projects. With the European Union, market and competition structures have changed. This leads to the question of whether and what changes are reasonable in the pricing of as well as whether and what changes in the distribution structure are necessary. The aim of the project is to develop future sales and pricing strategy for the European market. Based on the analysis of the pricing and distribution structures in individual European markets scenarios of possible developments in these fields are derived. They serve as a basis for the derivation of proposals for future pricing and distribution strategy. The results are presented to the client and with him a decision about the future direction is undertaken. A multinational company sees opportunities for achieving long-term competitive advantages in the development of customer loyalty programs. For this purpose, proposals for a meaningful customer relationship management (CRM) will be developed. By project team a CRM concept is developed on the basis of competition and customer value analysis, which is based on a combination of classic customer loyalty measures: sales contacts, marketing (information brochures, events, call centers) as well as an innovative internet offer for the target group. The submitted CRM concept is designed globally and country-specific adapted to the prevailing market conditions. Market research has shown that a financial service provider does not differ from its competitors in the target groups. For long-term corporate success in the markets it is decided to delevop a unique positioning in the competitive environment and derive key points for the new positioning. To implement the new positioning a communication concept is developed which includes the topics, target groups, instuments and procedures. Together with the client, this concept is passed in a briefing to the service providers (advertising agency, PR agency, event agency) and the implementation of the measures is monitored. A medium-sized engineering company has developed a special software. In contrast to the previous approach to develop software projects for existing customers, this software will be marketed and sold to worldwide audiences. The better the information, the better the decisions on strategy and marketing. We create market studies as a basis for strategic and operational decisions. Depending on the tasks for this secondary analyses (analysis of existing information) or primary analyses (collection of new data, usually in the form of surveys) are carried out. We have extensive experience in qualitative and quantitative survey research. Qualitative interviews in the form of personal or telephone interviews with experts are carried out in-house. Design, monitoring and evaluation of quantitative surveys are designed in-house and carried out by corresponding field institutes. A specialized industry manufacturer has to decide in which direction its flagship product will be developed and what new products are required by its target audience. There is uncertainty over the actual requirements of the buyers. By means of a first round of questioning experts (focus groups) to determine the requirements of the buyers are carried out. In a second round a combination of personal and telephone expert interviewsare undertaken to evaluate and prioritize the important topics on demand side. Based on this information, the decision on the future development work for the products can be done. A medium-sized machine builder company notes that its market share decline. Before marketing measures to counteract this development the situation with customers and non-customers is analysed. Customers and non-customers are quesionned about the company and its competitors, resulting in one hand in an image profile of the company and its main competitor and also the satisfaction of existing customers. Based on this information, the sensible marketing activities for the generation of new business can be set. A wholesaler group with revenues in the billions wants to analyse the satisfaction of their customers. In a team consisting of members of the group companies and Dr. Wissmeier Consulting a questionnaire is developed. This questionnaire then is to a pretest. The following online survey is a big success. Approximately 7,500 customers are contacted by email and invited to participate, for the first 500 participants an incentive is offered. The return is highly satisfactory. Survey results include, among other things, customer satisfaction with the wholesale group and futurre expectations of the customers. Meaningful marketing measures to maintain the high level of customer satisfaction and their further development can be generated on the basis of the report. As part of the relaunch of a cooperation of independent medium-sized enterprises, a new logo was developed by an advertising agency. In order not to use members taste as a decision basis, the new logo is tested withinthe target group. The results of the surveyshow that the logo conveys the desired content and appearance. The medium to long-term success of companies depends on their continuous development. In this context it comes to strategic decisions, but also organizational and cultural development in the sense of change management. We record all tasks in this regard and have specialists that support the cultural change of companies. We undertake tasks relating to the implementation of projects. Furthermore, we are available as facilitators that keep track of the important implementation steps and advises on the implementation. The subsidiary of the group is to open up to the external market and sell its services increasingly externally. In an upstream strategy project necessary analyses and strategy decisions are made as well as a road map is set. To ensure the successful implementation, the process is accompanied by the consulting company. The following procedures are selected: training seminars, workshops, milestone dates, coaching. A medium-sized company has been sucessful on the market since the 1950s. The second generation change has taken place, not just managers, but also the younger employees are finding that the company must adapt to the digitization of the business world in all its dimensions. The project starts with an evaluation of the status quo analysing the value chain and business processes. Furthermore, the possibilities of new media, mobile devices and social media are assessed. The result is a comprehensive concept of the digital transformation into a modern enterprise that employs the useful information and communication technologies in order to ensure the long-term competitiveness and thus the success on the market. The process is accompanied in the implementation. In the context of market entry into a new market segment by the daughter company of an RU (power company) an advertising agency is required. There is little experience in the evaluation and selection of agency services. The company is supported by the consultancy in this process. An agency pitch (pitch presentation of advertisers) is carried out. Starting from a professional briefing for the participating agencies the presentations and results are systematically analysed and evaluated. The best creation is selected, resulting in conjunction with the overall marketing mix to a sustainable and successful market entry. Following the definition of the project necessary analyses are carried out. Based on these solutions are developed for the task and presented to the client and passed in report form. 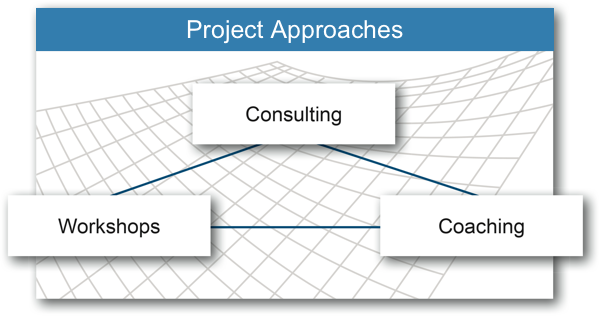 Using a pre-defined structure, the task team “consulting/company” work on the desired goal (eg creating a marketing or communications concept for new product introduction) . A positive side-effect of the workshops is usually the determination of further action needs of the enterprise for the relevant subject area. 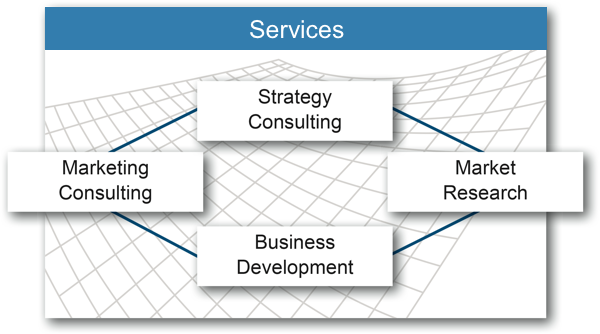 A defined consultant is available to clients as conversation and discussion partner for fitting or emerging issues in strategy and marketing area. As a result, the company external perspectives and additional expertise can be supplied.